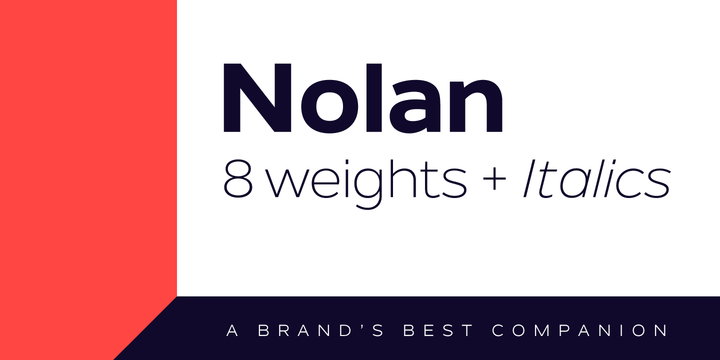 Nolan is a contemporary typeface created by Galin Kastelov and published by Kastelov which contains 8 weights (from Thin to Heavy) and their italics. The author tried to create a legible &clean font ideal for corporate, presentation, logo, branding etc. This sans serif typeface fas an architectural aesthetic stylish. Create & innovate! A font description published on Friday, September 11th, 2015 in Fonts, Galin Kastelov, Kastelov by Alexandra that has 4,544 views.